This is currently my favourite image of the kitties to show how big the kittens now are. 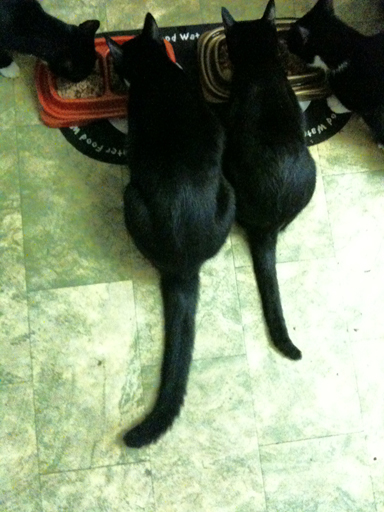 Mum is the tail on the right and baby boy Biggles is on the left. The top of Mum’s head now only comes up to shoulder height on Biggles when they stand next to each other. From left to right there is Ninja, Biggles, Stinker and Cous Cous.